I was reading Mike and Rebecca's recent blog on cleaning their water tank, and noticed Mike used the term "marine plywood". I am actually in the wood preserving industry, so know more than the average consumer on this matter. When anyone is doing a repair job and using plywood onboard, what do you consider marine plywood? Just as information, any treated plywood you may buy at Home Depot or Lowe's is not marine plywood. When I do any repair on board, I first see if I can use Starboard. If I can't (if the repair needs an adhesive, for example, since adhesives don't work well with starboard), then I'll use plywood. But I completely paint the plywood with West System epoxy to make it water tight. I'll respond. Please don't take this as cruelty, but Starboard is nearly my last choice for most things. I get the stuff for free and don't use it. Basically terrible physical properties, good for cutting boards. It generally does not require a finish, does not rot, and it is easy to machine.Other than that... pretty useless and not used on boats. There are many good reasons the boats are primarily GRP and metal. I might use it for a low-stress spacer, but that is about it. Most of those are GRP. But not a repair. Does anyone think that PT ply is marine? Scary. 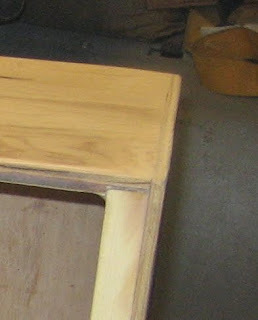 I've used plywood to build drawers and trays, but always with epoxy and no fasteners. Any hull repair would be GRP. If you are contemplating using ply on a project that may get wet and are uncertain if the pedigree, try boiling a piece for 20 minutes and see if it comes apart. At least this confirms that the glue is truly water resistant. Epoxy sealing, which nearly always leaks, is not enough. years ago i used to build hydroplanes. i used a combination of marine and aircraft plywood. we got it from speciality yards. it was very pricey. i can't believe a loew's or home depot will carry this stuff in their inventory. Marine plywood should have no voids, have more plies than standard plywood and a waterproof glue. 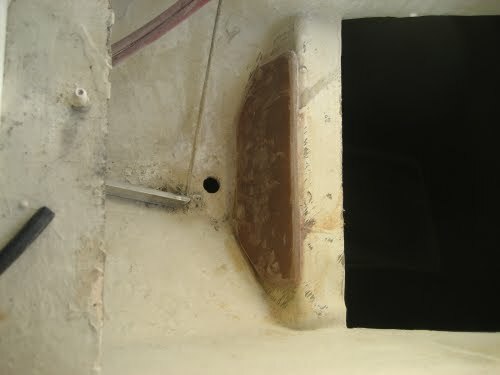 Encapsulating marine ply in epoxy is a tried and true method that has proven itself over countless years. I have had numerous experiences with pt plywood in the house building industry over the years and wouldn't touch it. I think the discussion on adhesive is worth considering, but I was thinking more about the decay characteristics. The plywood bought in all building supply stores does not have the correct preservative to prevent decay in a marine environment. Trying to find plywood that is appropriate (It contains CCA, chromated copper arsenate) is difficult since it's no longer used around residential settings. the wood currently bought in big boxes, other than 4x4's, is not even appropriate for ground contact. From my experience treated plywood tends to delamimate and warp. Marine plywood is much more stable and if epoxy encapsulated should be more rot proof than treated ply. I wonder if borax treatment would help? I'm about 99% sure it would. I first got interested in wood preservation with a totem pole project ~ 10 years ago. A dead yellow pine was felled, carved, and place in a hole after treatment with a glycol borate ester formulation and bottom paint. 10 years later the stump is gone but the pole is rot-free. I currently have a bunch of samples with various treatments in a compost heap, looking to see what goes first (Practical Sailor article). However, if you Google "borax wood rot boats" you will find a bunch or interesting stuff. System 3 also sell something they call "Board Defense", which is basically borax. The simple version is this: If you brush on a few coats of borax solution, allow to dry, and then seal, the wood really is rot-proof, even if it gets wet (even though wet, unless there is through flow, the borax is not easily washed out). Never tried it on ply, though. Borates are an excellent insecticide, but since they're so water soluble, will leach out of the wood if not encapsulated. They are not efficacious against marine borers, such as the toredo worm. 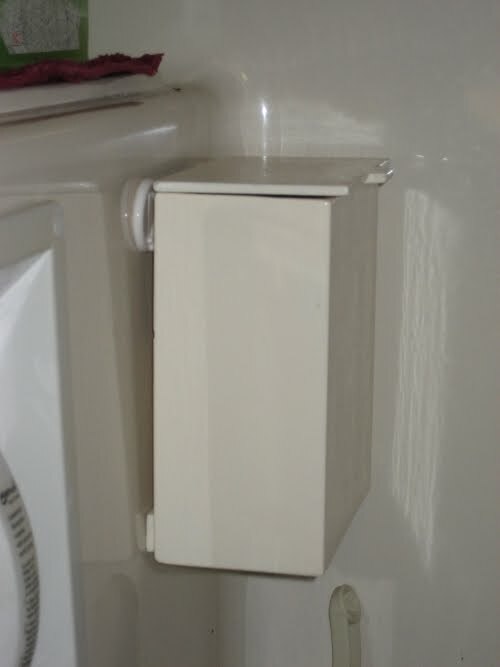 On a prior boat, the packing gland on the toilet flush plunger leaked salt water into the head, and the plywood supporting the toilet became saturated. Must have contained toredo larvae, because they soon hatched. The plywood was not treated. Exactly, the wood must still be encapsulated. However, if the wood gets damp from a tiny crack or screw hole (pretty much certain after enough time), the encapsulation still holds the borax. It's not like the water is washing through.